Wedding etiquette is there for a reason: it helps both the couple and the guests have a good time during the Big Day without offending anyone and without putting too much stress on anyone’s shoulders (especially the bride and groom). Sure, etiquette has changed a lot (as we’ve said it before) – so most of the rules can now be altered to suit your needs more. For instance, wedding etiquette says wedding planning should take about one year. However, if you need to have your wedding sooner (or if you simply want to), there’s no reason not to do it. Accept that the less time you allow yourself for wedding planning, the more stressful it will be. With the right focus and with a feasible plan in your hands, you can totally plan your Big Day in six months or less – but do strengthen yourself up, be ready to face some pretty harsh stressful times, and make sure you have the support of your friends and family (trust us: this can make it all SO MUCH easier!). The first things to do is to create a budget and a basic plan for the wedding. Once you have that in mind, start hunting for the right wedding venue. By the end of the first month of planning, you should have booked your venue and sent out the initial Save the Date cards. Once your venue and wedding date are set in stone, start searching for the right vendors. This might feel like an endless search – but going with the recommendations you receive from the venue and friends who recently got married can really help. Also, start looking for the perfect wedding dress and tuxedo as well – this could be a challenge because you might need to buy off-the-rack (because a lot of dresses take up to six months to arrive from the moment they are ordered). By the end of your third month of planning, all of the vendors should be booked (including the ones that will help you look stunning). Your invitations should be fully sent out. You should already start planning the rehearsal dinner! The next couple of months are all about details – the ones that make your wedding feel like a truly successful event. Seating the guests, creating a good playlist, planning a wedding breakfast for your closest friends and relatives – these things will make all the difference in the world. Don’t forget to get your marriage certificate during the fourth or fifth month of planning as well! Actually getting your hands on this might take a little time, so it’s important not to leave this for last! 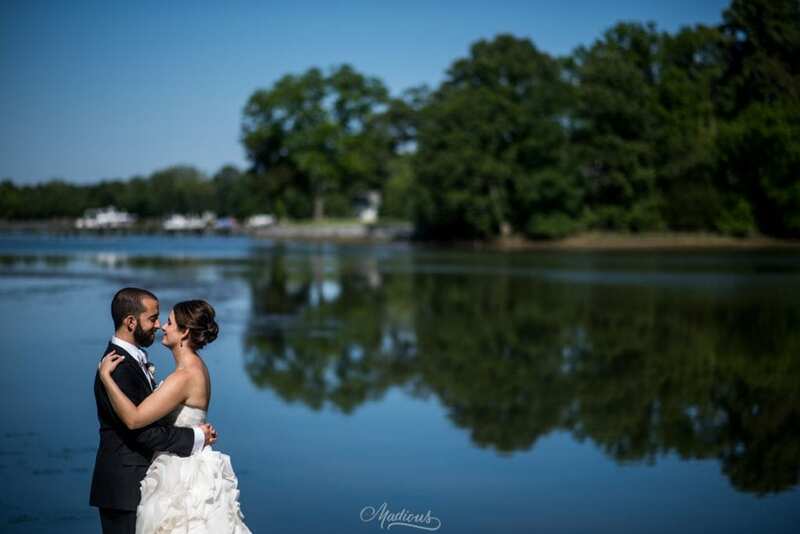 Looking for a fantastic waterfront wedding venue on the Eastern Shore? Contact The Oaks, schedule a tour of our grounds, and book us if you want to plan your dream wedding in a truly stunning location!